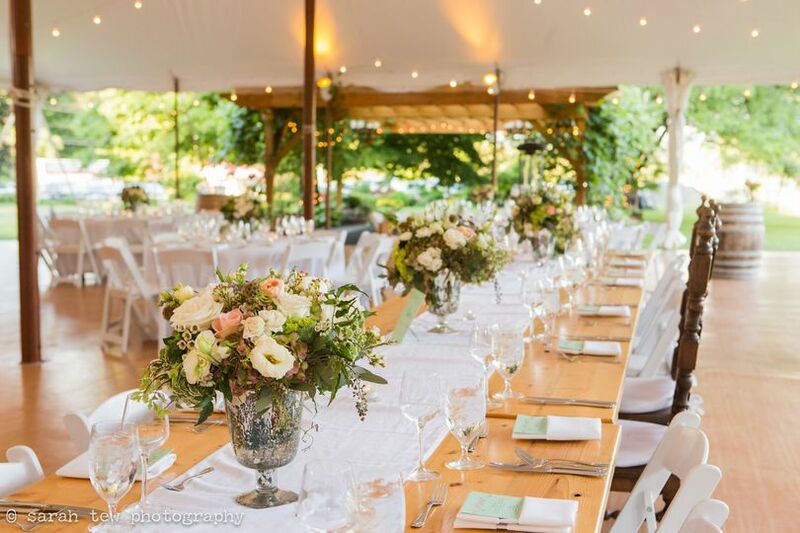 Red Maple Vineyard and Cornerstone Caterers partner to bring you a wedding experience you will remember for the rest of your lives. We look forward to hearing from you and helping you dream, create, and experience the wedding of your dreams. 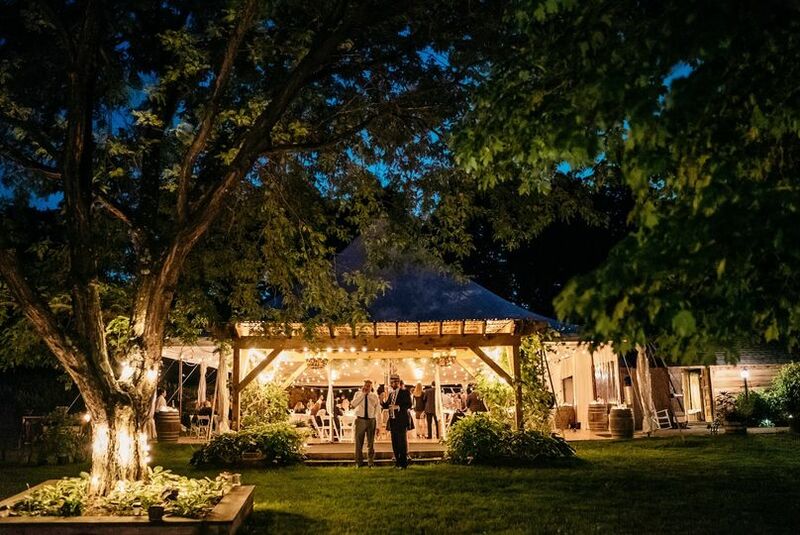 Red Maple Vineyard is a beautiful vineyard and farm, located on 143-acres of vibrant and diverse property which over looks the historic Hudson River.  The land is composed of a renovated cow barn from the 1800's, stone foundation ruins, horse paddock, chicken coop, expansive lawns, forests, vineyards, fruit & vegetable, herb and floral gardens. Our property provides endless opportunities for pictures, and sets an incomparable scene for your ceremony and reception. 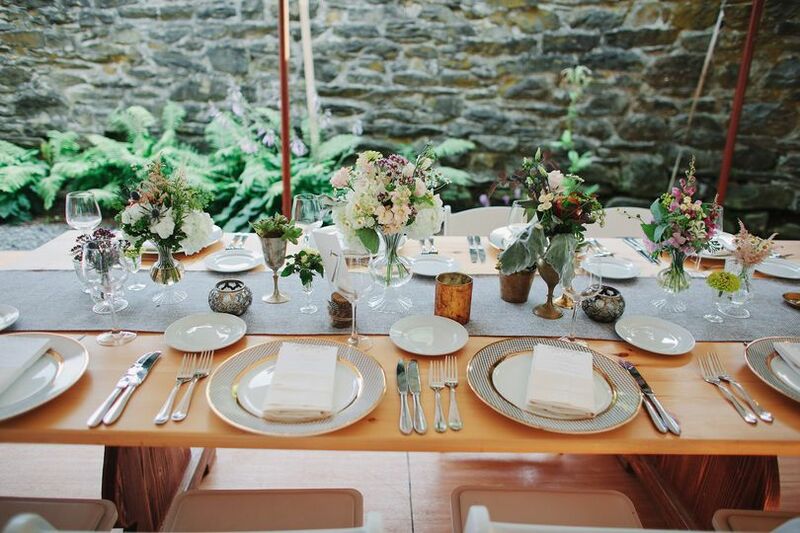 Cornerstone Caterers is a professional catering company out of Rye, New York. Owners Gary and Liz Stone met each other at the Culinary Institute of America and started the company in 1993, later purchasing 80 acres of vineyard and farm land that allows them to grow a wide variety of fresh produce for your meals. Since their opening, they have transformed from an intimate gourmet food shop to a premier local catering company. Their work has been featured in Martha Stewart Magazine and Bride’s Magazine. 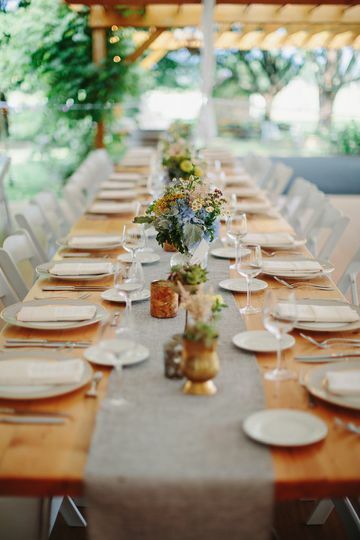 Red Maple Vineyard is a full-service wedding and catering company that focuses on using fresh, local ingredients to ensure you have the highest quality food for your celebration. 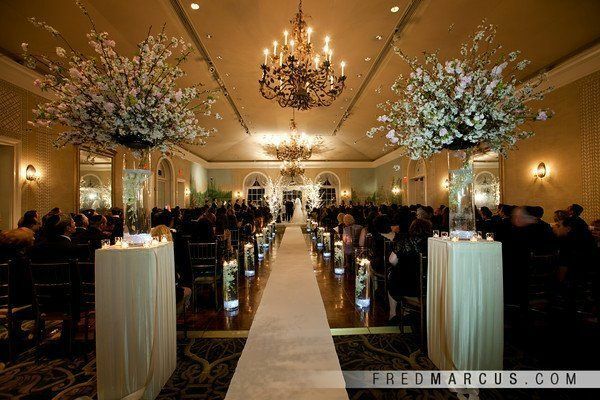 This venue is able to hold up to 300 guests for a grand celebration. 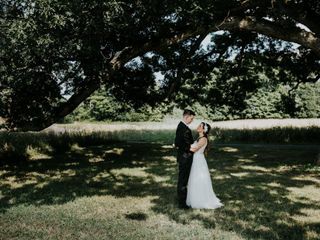 The Wainwright House is also available as a venue for couples who are in need of a mansion wedding with an elegant waterfront location for their event. Select your ideal menu with the help of their talented staff. Salads, hors d’oeuvres, platters, sandwiches and entrees can all be provided for you event. Choose from various options of chicken, beef, pork, lamb, seafood, pasta and side dishes for a wonderful main course. 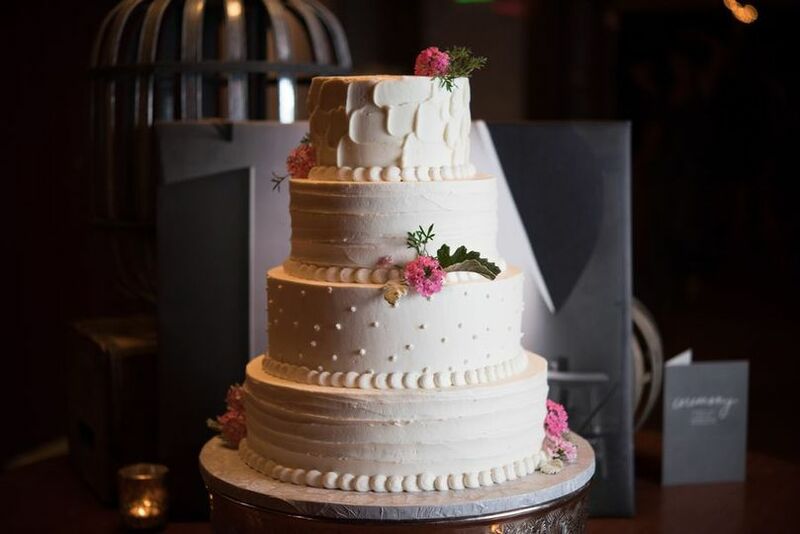 Decadent pastries and wedding cakes can also be provided by our bakery. 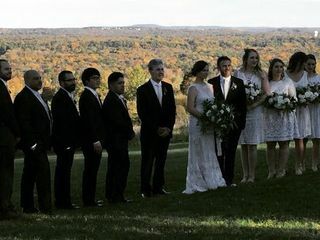 Before visiting Red Maple Vineyard, we knew it checked all the boxes - gorgeous photo backdrops, a perfect location in the Hudson Valley and five star reviews. What we didn’t realize was that beyond meeting all of the items on our “wedding wishlist” RMV was made up of the nicest people we would come across throughout our planning process. Gary, Michelle, Shay and the whole RMV staff are exactly the kind of people you want throwing the biggest celebration of your life. 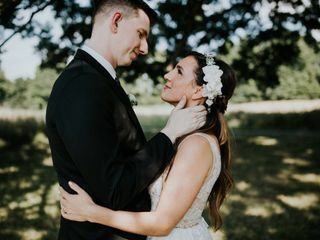 They are not only organized and dedicated, but truly caring and invested in making your wedding day exactly how you imagined it. What made our experience so great was the little things they did for us along the way - keeping us updated on the farm animals, sending us pictures of the beautiful fall foliage on the property the week of our wedding, making sure we had some alone time to sit down and actually enjoy all the delicious food we picked out for cocktail hour. Speaking of the food from Cornerstone Catering (a RMV company). WOW. This is not the typical wedding banquet hall food people expect at a wedding. The food was better than some at our favorite restaurants in Brooklyn. The hardest part was having to choose which dishes we wanted following our amazing tasting! 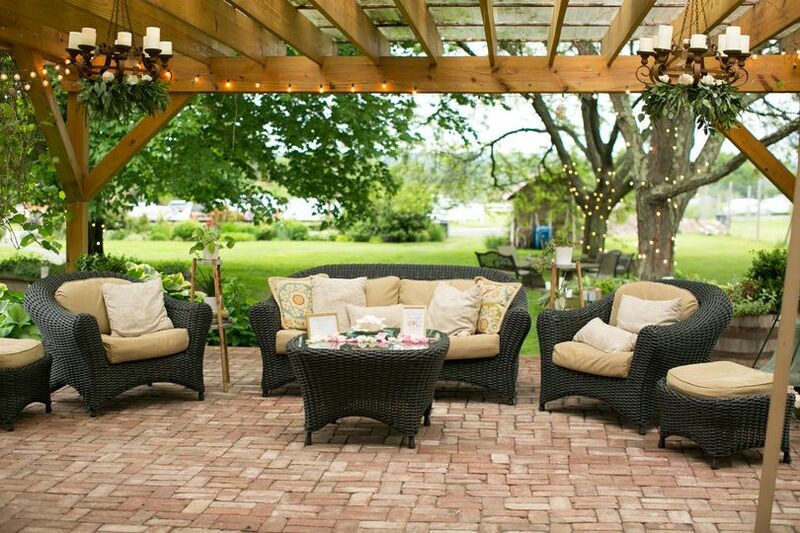 I would not change a thing about my wedding at Red Maple Vineyard! I can not say enough great things about Red Maple Vineyard and everyone that works there. They pulled off my absolute perfect wedding and did it all with smiles. 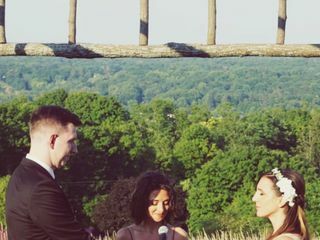 There is no more beautiful setting to have a wedding ceremony than on top of their hill overlooking the Hudson river and their gorgeous barn. 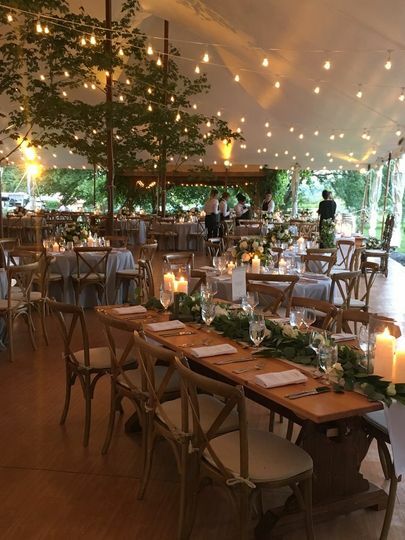 Then you walk down the hill to party the night away and you see the beautifully decorated tent and grand lawn and it all takes your breath away. On top of all the beautiful vistas the RMV team are all amazing. From Gary the owner taking his time to walk me and my bridesmaids around talking about the venue and its hidden secrets, to Michelle working behind the scenes to keep everyone organized and on time, to Trevor being there all day to help the entire wedding party with whatever they needed, including a few laughs. 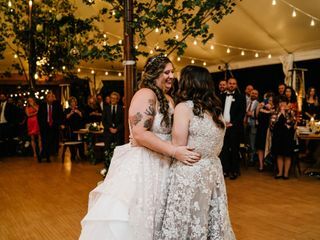 Everyone had a million and one compliments about the venue and the food, including a friend who says she wants her and her husband to get remarried just so they can have it at RMV. DREAM VENUE! Do not hesitate! There isn’t enough praise to bestow upon the amazing team at Red Maple Vineyard. It was the first venue we looked at and with one date left during our desired time of year, we booked it immediately. Gary, the owner, is a joy to work with. He was willing to make some small changes to the contract that we requested and was just consistently available, in control, and willing to help in any way he could. 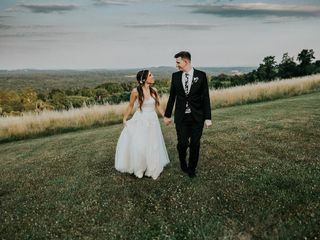 Throughout the year and half between booking RMV and our actual wedding date, Gary would send helpful emails with bus companies, bands and DJs, hotel recommendations, nearby places for rehearsal dinners and post-wedding brunches, etc. He’d also share RMV updates and photos, getting us all the more excited for our big day. Michelle Marmo was our day-of coordinator at RMV. She was there to help with the rehearsal too (in the midst of setting up for another wedding, no less) and she also she oversaw our tasting. She was so laid back from the get-go that we wondered if she truly had everything under control. But boy, did she ever. The day of the wedding, Michelle was so on top of it. She was there, but also not suffocating—giving us space, while always making sure our champagne glasses were full. When we were too busy dancing and schmoozing to eat the delicious food, she boxed it up for us to take home. They just don’t come any nicer than Michelle. She was the exact kind of person you want running the show at your wedding: in control, but not controlling. On top of that, Shaylene, Gary’s daughter, let us come by with our parents one day on a whim after we’d booked the venue and was kind enough to chat with us and give us some wine to taste. Truly, everyone at RMV treated us so kindly. Shay also did a beautiful job with our favors: jam and syrup from the farm. 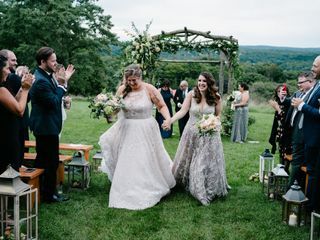 It was so lovely to get married somewhere that was owned by a family; RMV oozes the kind of warmth and love you can only hope your wedding day is filled with. Beyond the people who run it, the venue itself is just beautiful. 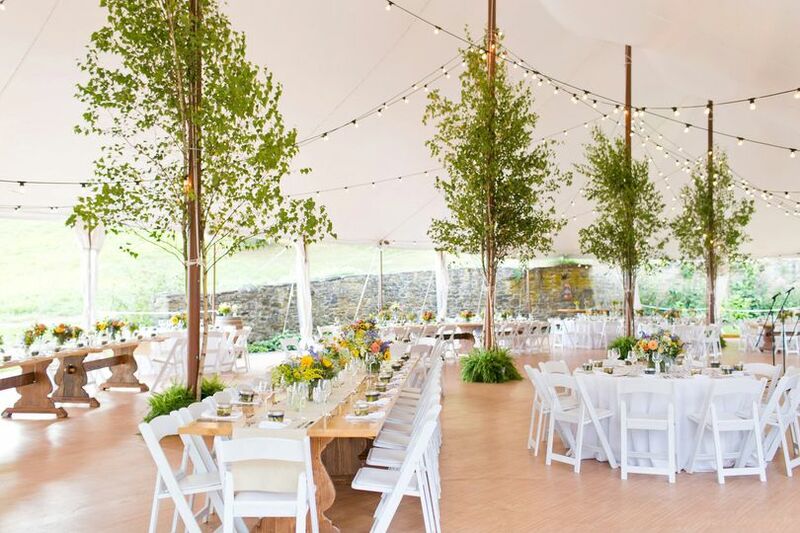 The outdoor spaces provide so many different backdrops for photos, and the way they use the stone wall and pergola to surround the tent makes it feel so much more special than your average wedding tent. Being at RMV, you feel like you’re somewhere even more far off than the Hudson Valley. 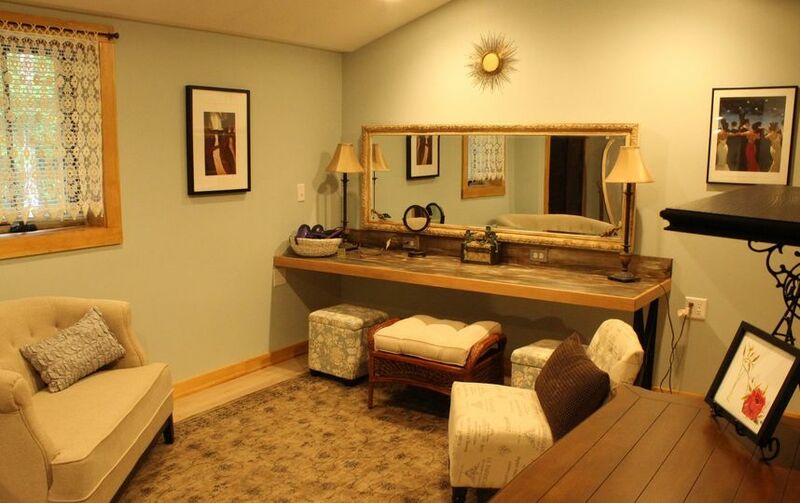 Indoors, the main building offers so many comfortable seating options with different aesthetics, but each and every one incredibly beautiful and inviting. It’s homey and elegant all at the same time, which is exactly the vibe we were going for. For our wedding, we wanted to bring in some things from outside Corner Stone (like cake and wine), and they were very amenable. We also did a lot of upcharges on the cocktail hour and meal, and they were generously willing to waive a few charges for us too. It’s clear they want to make their couples happy and will do whatever they can within reason to accommodate your requests. One of the most special things they do for couples is during the cocktail hour, when they set aside all of the hor d'oeuvres for you on a balcony, so you can not only actually eat, but also share some quiet time and take in the beautiful scenery. It was one of our favorite wedding moments. Everything on the day of our wedding went off without a hitch and we were just over the moon. We cannot thank the RMV and Corner Stone teams enough for everything they did to make our dream wedding a reality. I have photographed at both the Wainwright House and Red Maple Vineyards. 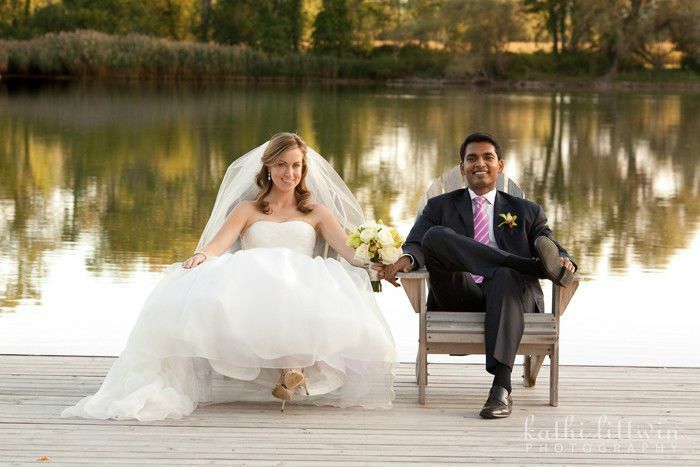 Both locations are gorgeous and provide a wonderful backdrop for any wedding. That might be enough but the catering from Cornerstone adds another fabulous layer to an event. Their team is also top notch and a joy to work with. Need I say more?